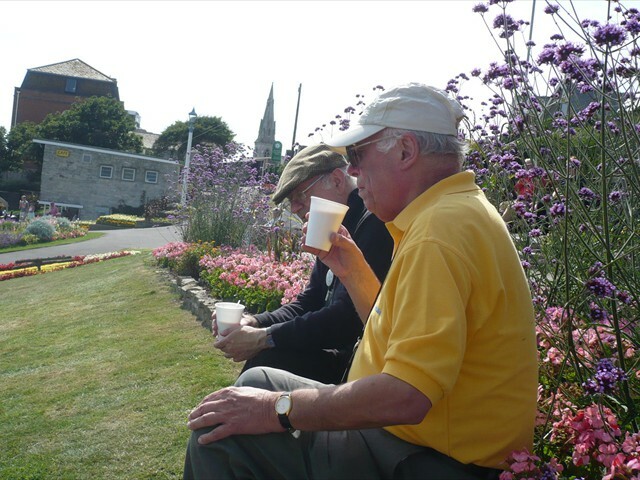 On 21st August 2013, Jim Davis and Dom Cornfield set out on the train from Dorchester to report on the Weymouth Carnival proceedings for Ridgeway Radio. 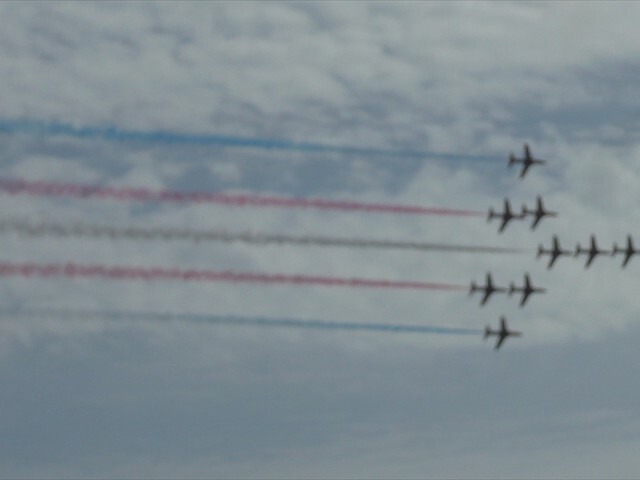 It was a hot, sunny day and there was hardly a cloud in sight so visibility for the Red Arrows display was perfect. There were thousands of people and lots of fairground rides selling all manner of toys, gifts and sweets. The view from Greenhill Gardens was excellent to comment upon the display and the relaxed afternoon followed by the main carnival procession was outstanding. The main highlights of the procession included the dance troupe from Notting Hill Carnival with their amazing costumes as well as the marching bands and majorettes from the local area. 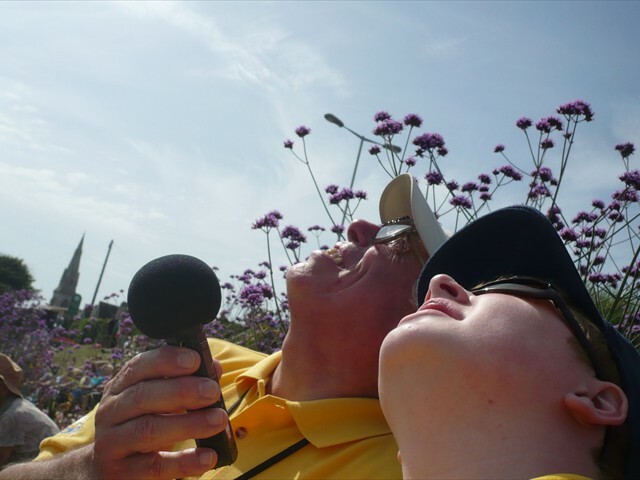 Pictures below – Dom and Jim at Weymouth Carnival describing to listeners the traditional display by the Red Arrows.